FRANK Fitzsimons will not manage Antrim in 2018 after withdrawing from the race following the decision of the county executive to seek ‘expressions of interest’ from other parties. At Monday night’s heated County Board meeting, it emerged that Fitzsimons was the only candidate put forward by the clubs and his nomination was approved at the meeting. However, brought up under ‘any other business’ was the revelation that a three-man sub-committee had been in contact with three other candidates – namely Aidan O’Rourke, John McKeever and Lenny Harbinson. The three men are to be interviewed over the coming weeks, while Fitzsimons was also to be given a chance to stake his claim for the role he has held for the last three seasons. The Lámh Dhearg clubman has held the position jointly with Gearoid Adams for the last two seasons and the pair guided Antrim to promotion from Division Four last year. However, the Saffrons were relegated back down to the bottom tier after Longford salvaged a late draw in Corrigan Park on the final day of the league campaign. Back-to-back Championship defeats to Donegal and Sligo ended Antrim’s season and when it became clear that the incumbent managers would have to reapply for their roles, Adams stepped down. Fitzsimons was keen to remain at the helm, but has become frustrated with the process. With the merit of all candidates set to be discussed vigorously over the coming weeks, Fitzsimons has also withdrawn from the race. It remains to be seen who will succeed Fitzsimons and Adams. With a cut-off date set for late September, the three-man committee of Alec McQuillan, Paul McErlean and Ciaran Hamill will meet O’Rourke, McKeever and Harbinson before putting their recommendation to a vote at a special meeting of the County Board. O’Rourke looks to be the front-runner for the role and is the most experienced having managed Louth and coached Armagh, Down and Kildare. More recently, he was appointed as Queen’s football manager having served as James McCartan’s assistant when QUB last won the Sigerson in 2007. Both McKeever and Harbinson are currently managing club sides who are still involved in their respective Championships. McKeever is at the helm of Coalisland, who were beaten in last year’s Tyrone SFC final, while Harbinson is managing Armagh outfit Ballymacnab. 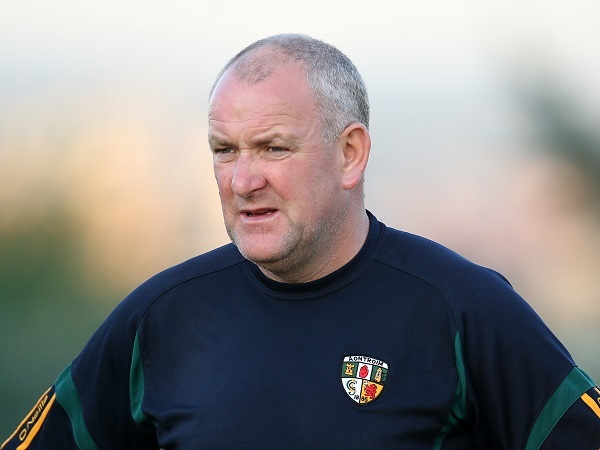 All three candidates have tasted All-Ireland success with O’Rourke a key member of Armagh’s 2002 side, while McKeever managed Cookstown to an All-Ireland Intermediate title in 2013. Harbinson, meanwhile, led St Gall’s to Andy Merrigan glory back in 2010.